Fleur : orange, very double, large. 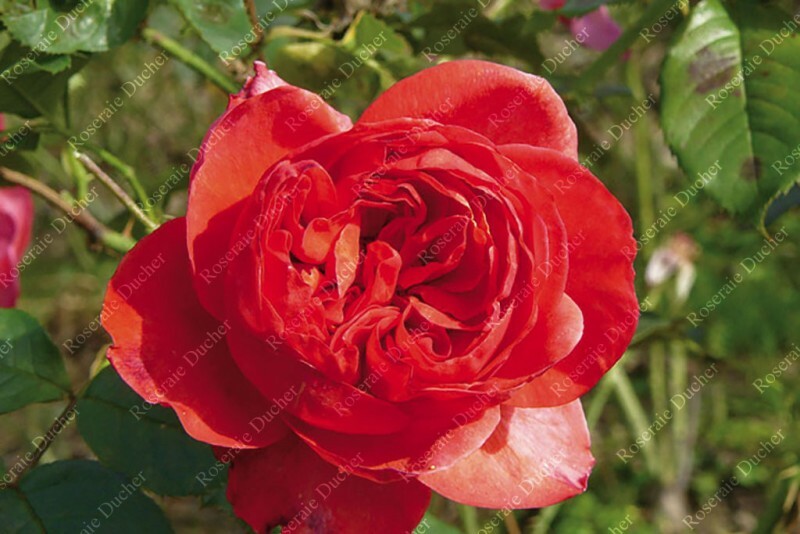 The very double flowers of the shrub rose 'Stéphane Bern ®' have a delicious odor of peach and mango. Flowering occurs continuously from May until frost. The leaves are bright green.